Air New Zealand and Cathay Pacific have received government approval to extend their alliance until October 2019. NZ Transport Minister Simon Bridges said the partnership would benefit travellers, noting the number of visitors from Hong Kong to NZ had risen 16 per cent since the two airlines began cooperating in 2012. However, the Minister said the government would be monitoring fares closely. “This alliance has ensured the airlines work together on tourism and marketing initiatives so travellers can continue to benefit from more seats, improved flight schedules, shorter connection times, and reciprocal frequent flyer schemes,” Bridges said in a statement on Tuesday. “While the alliance has given travellers to and from Asia more choice and flexibility than would otherwise have been the case, there is room for further improvement. My expectation is that Air New Zealand and Cathay Pacific will continue working to show the alliance is in the best interests of consumers. 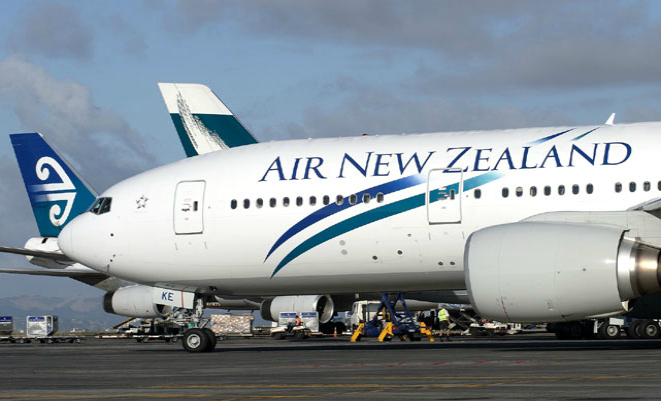 Under the carriers’ partnership, Air NZ and Cathay codeshare on each other’s services between Hong Kong and NZ, while the Kiwi flag carrier also has access to Cathay’s network across North Asia and China. The two airlines also offer reciprocal frequent flyer benefits. Air NZ chief executive Christopher Luxon welcomed the Minister’s approval. “This agreement has not only let Air New Zealand broaden its offering to customers between New Zealand and Hong Kong but has also allowed us to offer our customers excellent access to destinations throughout China and North Asia on Cathay Pacific and its sister airline Dragonair,” Luxon said in a statement. Cathay chief executive Ivan Chu said the alliance with Air NZ offered travellers greater convenience and more connection opportunities, both in China via Hong Kong and also beyond Air NZ’s Auckland hub. “Consumers will continue to benefit from a wider choice of fares between the two gateway cities,” Chu said. Air NZ has a separate application currently before the Ministry of Transport for a partnership with Air China. Also, Air NZ has an alliance with Singapore Airlines covering UK, Europe, South East Asia and Africa, which facilitated the Kiwi flag carrier’s return to Singapore in January 2015.